Sommarens stora trend, t-shirts med schyssta 80-tals tryck! 1. Yoko Honda för Diesel "Relax", Zalando. 2. 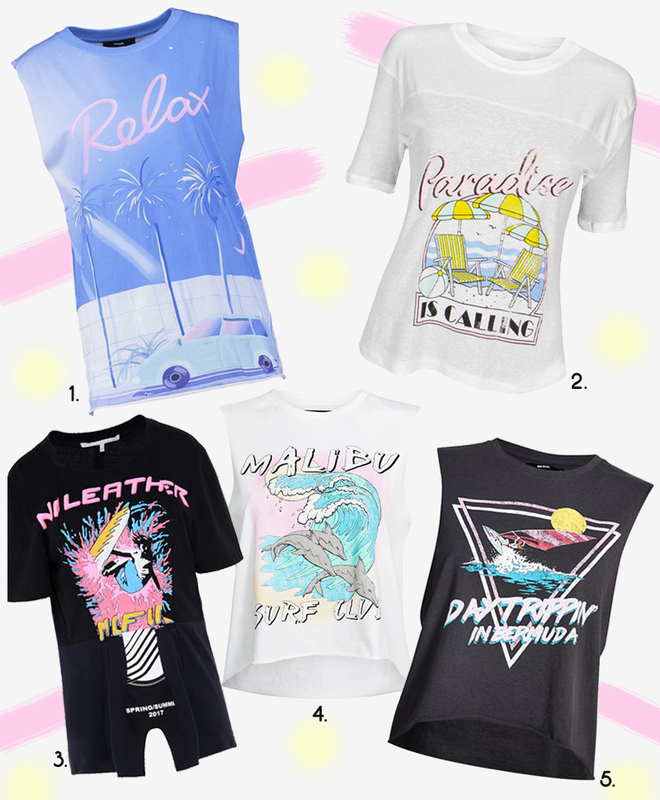 Wildfox "Paradise is calling", Spoiled Brat. 3. Stella Mccartney "No leather no fur", Stella Mccartney. 4. Bik Bok "Malibu surf club", Bik Bok. 5. Bik Bok "Daytrippin' in bermuda" Bik Bok.